It’s such a small world in so many ways. My girlfriend’s sister lived on the same street as my aunt. Now her kids go to the same school as my godson. One of my godson’s best friends is my other girlfriend’s son. I sang karaoke with a dude who went to high school with my friend…and was married to a girl who’s best friend married another one of my friends. I run into people I haven’t seen since high school or college on the train or at a restaurant. We’re only as far away from one another as we are distanced by Facebook friends. Which often isn’t very far. We seek out these connections. And we’re all surrounded by them. Six degrees of separation. Who needs Kevin Bacon when our world is this small? And then there’s you. Impossible. Unreachable. You. With the hundreds of connections I have on Facebook. The social media sites I’m active on, galore. The fact that you live no more than 20 miles from me (and that’s generous). But you’re invisible. I realize I’m of another generation. But not by much. Most people of your world must have flocked to Facebook. I say that, assuming you have people. Do you? Have people, I mean? Of course, I know you’re married. And I know you have a child (I think two). The internet is a beautiful thing. But do you have people? Friends? Family? Co-workers? People who beg you to be more active on Facebook? Have you made a life that makes up for what’s missing? For what you left behind? Did you forget about us? Me? Your little sister who went and grew up without you. Who never forgot you. Who thinks about you more that she probably should. 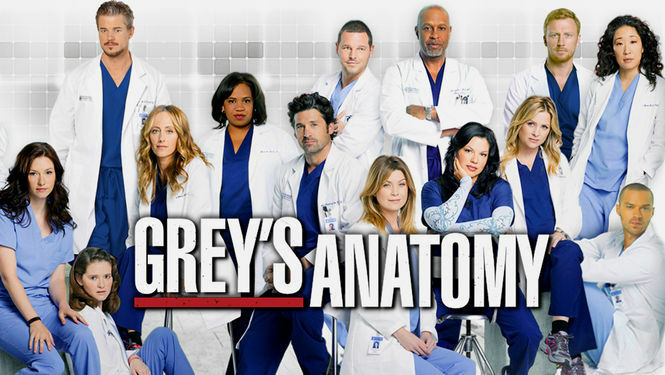 Who remembers every joke. Every story. Every song. With every fiber of my being. Blog friends, are you thinking about someone in your life that you haven’t seen in years? Do you have weird family stuff? 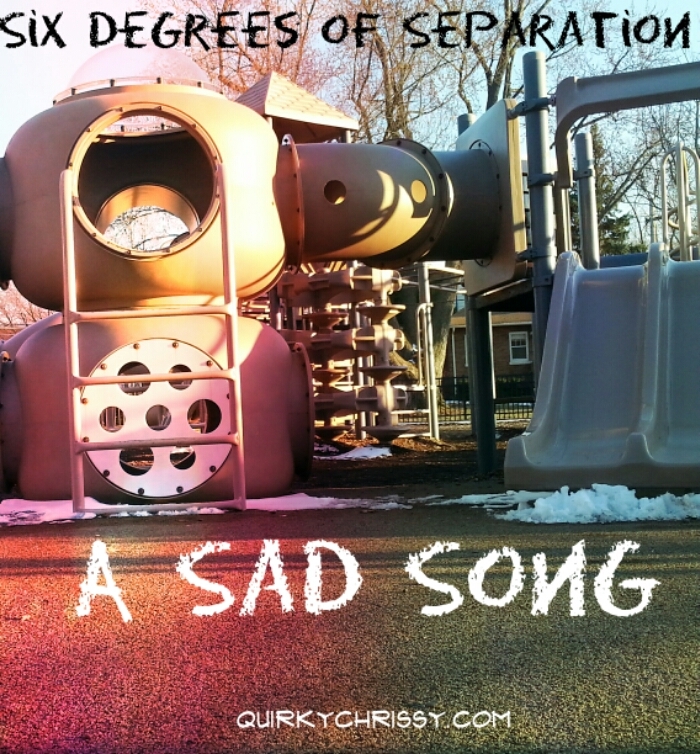 Do you have an “six degrees of separation” stories? Tell me your story. The cup of coffee crashed to the ground with a shatter and a splash. She had done it again. She looked around to see if anyone else had noticed, forgetting that the only other soul in the tiny apartment was her cat. She stared at the broken ceramic pieces that spanned from one end of the galley kitchen to the other, spraying out onto the living room carpet. She held her left hand close to her body, caressing it with her right, as if it would help. Tears glided gently down her cheeks like the dew on an autumn leaf as she took in this morning’s damage. The last bit of coffee in her barren cabinets was now forming small brown puddles on her kitchen floor. Ben’s favorite coffee mug broken into a thousand tiny pieces, crumbs of colorful ceramic. Her left palm swollen and red from the burn, her fingertips blistering, as her right hand moved to clutch her wrist, isolating the pain from the rest of her body. As if it would help. In slow motion she reached into the fridge for a half bag of open corn from the freezer, hoping to cool the burning sensation in her palm. Her heart started racing. He mind dulled. She wanted the pain to disappear. She shuffled out of the kitchen, ignoring the debris on the floor, and sat down on her couch, corn spilling out into the cushion to her right. She looked at her hand. What had she been thinking? Ben used to make her coffee in the morning. They had one of those 12 cup pots that made mass quantities of liquid caffeine for the two of them. In any given day, they’d brew at least 2 pots. These days, Karen was lucky to heat one cup of instant coffee in the microwave. And now she was also out of coffee. She knew that there was a crack in the ceramic. But she couldn’t get rid of his mug. The phone rang and Karen glared at it like an enemy crossing into her territory. In her mind, she kept willing it to hush itself, and in the end, she won. Her mother. Probably. Or her sister. The two of them tried to keep tabs on Karen. But it wasn’t easy. She never answered the phone, and avoided unlocking the door to her apartment on most days. She wasn’t always like this, though. Karen used to be bright and shiny. She used to smile. She would drop a scalding hot cup of coffee and clean it up immediately. Her cabinets were full of tasty treats and snacks for surprise guests. Her fridge stocked fresh fruits and vegetables. She did things. She did something. But over the course of time, things drooped. It didn’t happen over night. It was a gradual thing. A gray sky here, a few tears there. No big deal. Until it was a big deal. And she didn’t even know it was happening. Ben used to try to help. He offered a shoulder to cry on. He made her coffee. He brought her food, even when she wasn’t hungry. He hovered. And she didn’t mind. Because she knew he cared. Karen looked down at her hand again. The blisters were red and raw. Only a few kernels of corn remained in the bag. Her hand was throbbing, though she wasn’t sure whether it was from the cold of the corn of the sting of the blisters. She dragged herself up and off the couch, walking blindly to the bathroom. She turned on the dimmed light and saw a lipstick note in big red script. Why do I believe that nothing will get better? Why do I believe that I’m alone? Forever? Why do I believe that there’s nothing left? Why do I feel so lost? And then she cried again. 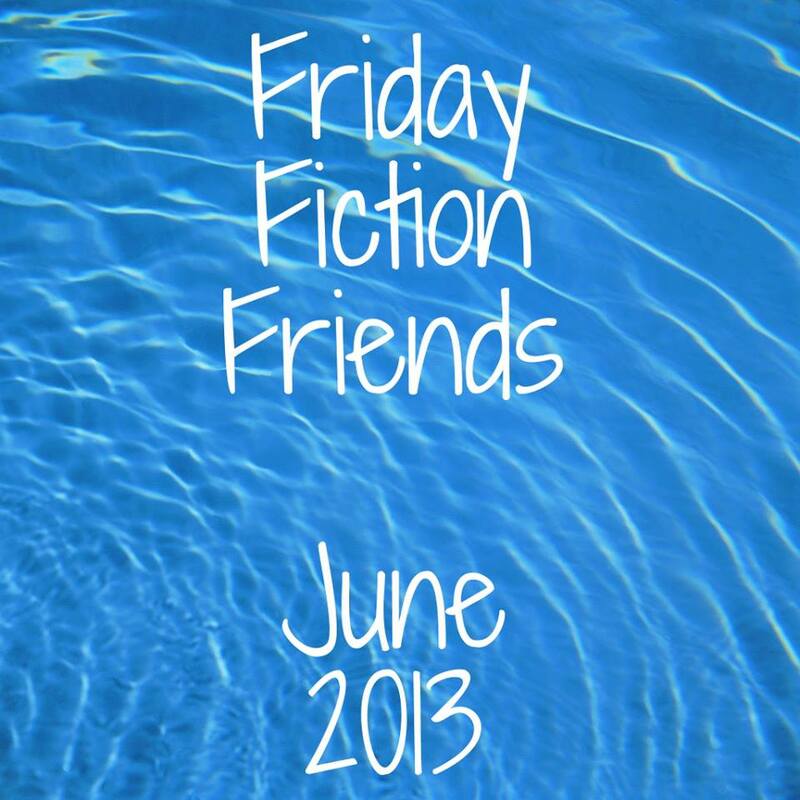 This post is a part of Fiction Friday Friends and if you’re looking for more fiction, go visit these talented writers! Blog friends, have you ever struggled with depression?